Further delays of a fantasy product that might never exist! Apple's much-hyped 'iTablet' device might not make it to market till late 2010... Hell, it might never even exist! 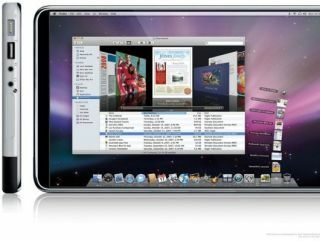 The ongoing saga of the Apple 'iTablet' continues this week, with the latest stories coming out of the far east suggesting that Apple's (as yet unannounced) new tablet computer will not see a commercial release until later in 2010. Component manufacturers for the iTablet are now claiming that Apple is prepp'ing two flavours of 'iTablet' for Christmas 2010 – one with an OLED screen and one with your bogstandard TFT screen. The latest reports come courtesy of Digitimes, with their unnamed sources spilling the beans on Apple's plans for a split product launch. Interestingly,T3 also notes that Conde Nast has already started working on tablet-friendly versions of Wired and a number of its other flagship magazine titles. Furthermore, that report claims that the tablet with the TFT screen will have a 10.6-inch screen while the OLED version will have 9.7-inch screen. Digitimes even rampantly speculates about prices, based on current prices of OLED screens – the manufacturing cost of the Apple 'iTablet' are expected to be around $1,200-1,500 by launch. "The price could be more flexible if bundled with telecom providers' 3G services," notes the Digitimes report. Filed squarely under rumour and speculation, for now at least.